Helping People Believe They Are ENOUGH! Begin to believe you are enough in just 5 easy steps taught by a mental health/mindset expert and Best Selling Author . 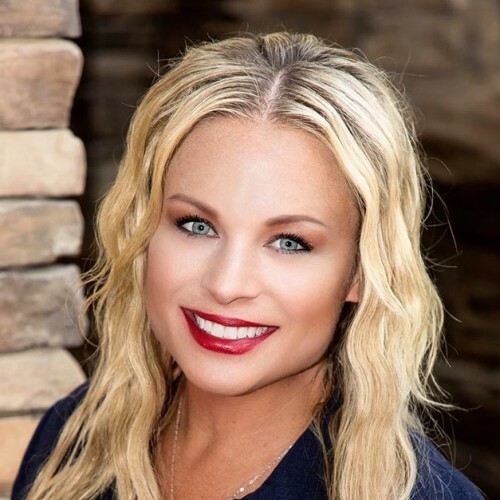 Megan R. Fenyoe is a Veteran, Licensed Clinical Social Worker (LCSW), Transformational Mindset Coach, Best Selling Author, Professional Speaker and host of The Blonde Bombshell Podcast. She is contributing writer for Thrive Global and also owns her own health food franchise through the Juice Plus+ Company. In addition, Megan is an Amazon Best Selling Author and recently released her book called You Are Enough: 5 Steps To Move From Struggle To Strength. She has been featured on SiriusXM Radio, TV/Radio Shows including the Jenny McCarthy Show, multiple podcasts, as well as various magazines. As a Transformational Mindset Coach, she will transform your negative self-talk into positive self- empowerment believing you are ENOUGH! How does she do this? She takes you through her proven 5 Step program that will move you from struggle to STRENGTH. Having over 15 years experience in the mental health and coaching field has sculpted her style of speaking. With her years of experience she has helped hundreds of people accurately assess their challenges and identify ways they can change, capitalizing on the strengths they already have while building new ones. WHATS DIFFERENT: Megan has gone through many struggles throughout her life most recently being involved in a Narcissistic Abusive marriage and for many years she was living a life without meaning, purpose and just going through the motions. She has been able to successfully transform every area of my life using her proven 5 Step System and is now living a vibrant, beautiful life. A life where she truly believes she is ENOUGH. Her passion and purpose in life is to share her story in hopes to support and encourage others to begin to believe they are ENOUGH! Find out more about Megan Fenyoe at http://www.meganfenyoe.com.